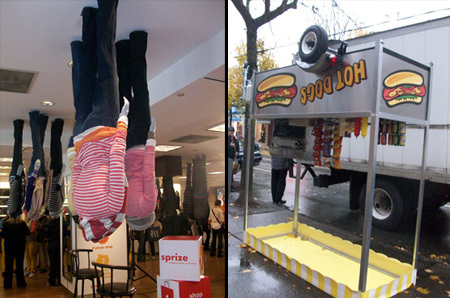 To promote the launch of Gap’s new loyalty program, Sprize, the GAP store on Robson Street in Vancouver, Canada was literally flipped upside down. The transformation was finished in only twelve hours, after 32 mannequins, four display tables, hundreds of t-shirts, one hot dog cart, and three cars were flipped to create the illusion. What does all this mean? Or this is just a way to be different to attract someone curious ? 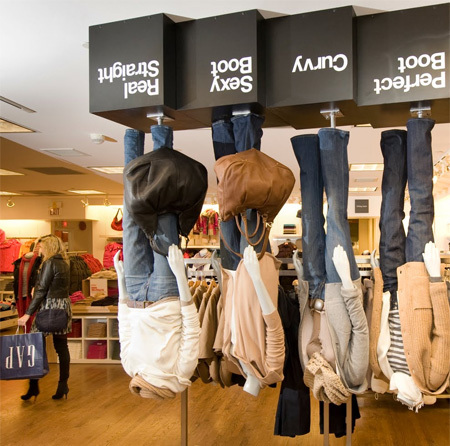 Victor & Rolf did the same thing almost 3-4 years ago in their Milan store, shame on GAP. If you look at the last photo, it says: “shopping turned on it’s head” at the bottom of the window. I know this campaign, and when I saw it I couldn’t believe it hadn’t been done before. But it hasn’t. 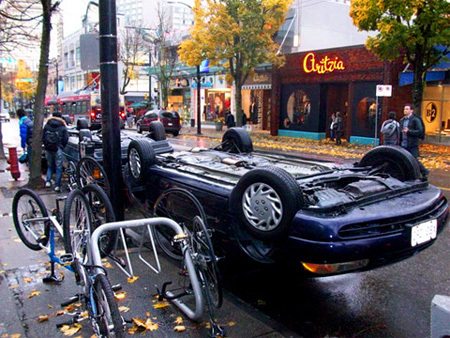 IMHO It’s not brilliant, not clever, it’s just a good way to attract attention I guess.. I always had dreams about living in buildings upside down where everyone is walking on the ceilings. @Daniel and Aziz: Nice…how you do that? 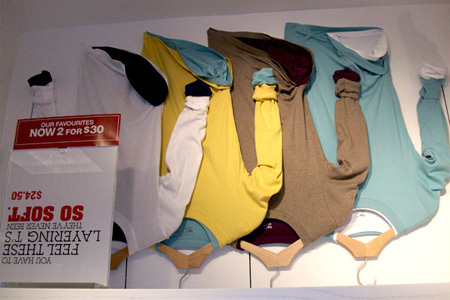 done before… i’ve been to a pop up shop like that in NY before a few years ago. It kind of weirds me out a little, but it does make me laugh… especially how they took the time to even change out the storefront logo and print the bags upside down. But the cars? That’s just crazy! Victor and Rolf had a couple of upside down stores. 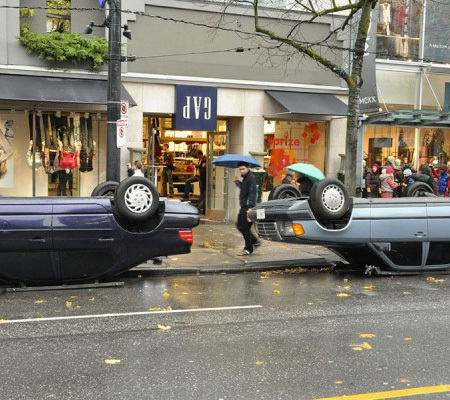 Upside down cars? Nice touch. Seems like a helluva lot of work for one product line promotion… who’s to say it even brought in more sales? People go… take pictures… walk in take pictures… walk out. 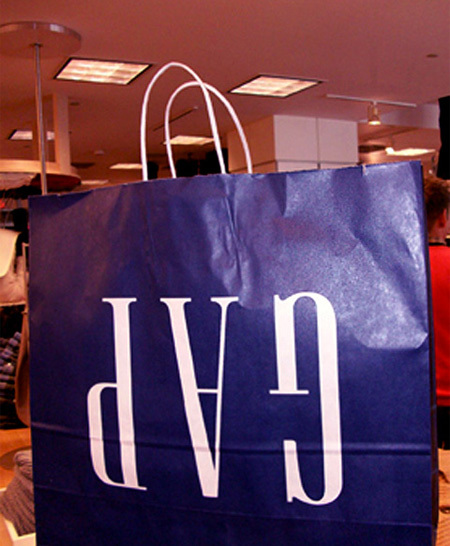 U gap I Like Gap.